Shingeki No Kyojin "Attack On Titan" live action movie is one of the most awaited manga/anime to movie adaptation. The second official trailer of the film has been released and it has been gathering a great amount of anticipation from the anime/manga fans of the series. Attack on Titan (Japanese: 進撃の巨人, Shingeki no Kyojin, lit. "Advancing Giants") is a Japanese manga series written and illustrated by Hajime Isayama. The series began serialization in Kodansha's Bessatsu Shōnen Magazine on September 9, 2009, and has been collected into 14 tankōbon volumes as of August 8, 2014. It is set in a world where humanity lives inside cities surrounded by enormous walls as a defense against the Titans, gigantic humanoid creatures who devour humans seemingly without reason. 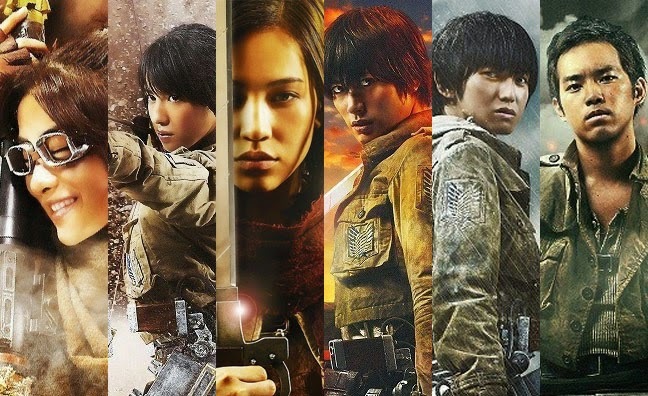 Attack On Titan "Shingeki No Kyojin" began in 2009 as manga and then branched out into light novels, animes, video games and now there are two live-action films being adapted by manga’s creator Hajime Isayama and screenwriter Tomohiro Machiyama. They films are being directed by Yūsuke Watanabe (Dragon Ball Z: Battle of Gods). Also watch the "Attack On Titan" Live-Action Film First Exclusive Preview!